Sheryl Sandberg, Facebook’s chief operating officer and author of the book Lean In, has started a campaign to “Ban Bossy” (Meaning, ban the use of the word). Apparently, when Sandberg was in elementary school, her teachers told her friends they shouldn’t hang out with people who are “bossy.” (Evidently referring to her). Sandberg, in a Wall Street Journal article, said the word “bossy” carries both a negative connotation and a female connotation. Her argument is when a young man is assertive, he’s called a leader, but when a young lady is assertive, she’s called “bossy.” On the web site, there’s a video with a lot of celebrities saying “ban bossy.” They have a twitter campaign, #banbossy. The video ends with Beyoncé saying “I’m not bossy, I am the boss.” Hey, Beyoncé, “boss” is part of “bossy” so if you want to ban it, start with yourself. Sandberg, who is Facebook’s chief operating officer, wants to ban the word “bossy” because she was called that and thinks it holds young ladies back from being leaders. I’m just curious whether her own contradiction has occurred to her. 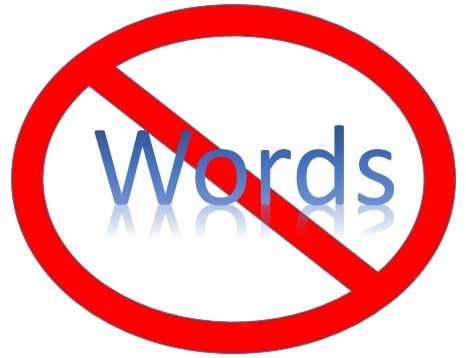 When did it become fashionable to think it was ok to start banning words? Who thinks this is a good idea? When did we become such a protectionist society that we think banning words is a good thing and will result in some type of changed behavior? Wouldn’t it be better to start a campaign that teaches people, in this case young ladies, to deal with difficulty and negativity, rather than just trying to shield them from everything by controlling what other people may say? Being called bossy didn’t stop Sandberg from her success. McArdle argues that it would be nice “if we could serenely parade from triumph to triumph, but that is not how human beings work.” We are caught in the trap of believing that success involves not failing, when failure is actually necessary to success. She urges us not to build injury-proof playgrounds — which is what led me to look up those data on childhood accidents — but instead bring back high monkey bars and “let kids learn that the price of reaching lofty heights is the occasional broken arm.” Put McArdle in the category of doubting whether the Centers for Disease Control and Prevention’s National Action Plan for Child Injury Prevention is helping us as much as we might think. I don’t think McArdle, or anyone else is advocating unnecessary harm to children, but is rather highlighting that by eliminating all harm, we actually impose more. Yeah, so I know I’m comparing some different concepts here, but I think it’s a similar argument. I’m all for helping and encouraging young ladies to be leaders. I’m not for helping them achieve this by protecting them by banning a word that, according to one article, they are going to ban until it “sickens and falls out of the lexicon.” What? How about a program for young ladies that is educational and illuminating? Maybe a program that provides some information for young ladies that helps inspire them and educate them that they can achieve their potential. You know, maybe getting some of the celebrities you got for that “ban bossy” video and giving young ladies an inspirational message about how they can be leaders too, how they can aspire to achieve, stuff like that? Nope. Nuh-uh. You want to help them by stopping other people from using a word. I’m sure some young lady will be inspired to be the president someday because no one called her bossy. Sure, good luck with that. Simply because one lady was called bossy when she was young and now has become wildly successful but is still pissed about it, she’s blowing money and starting a campaign to eliminate the word. And some celebrities have come running like sharks to chum. Is there any evidence or facts to back any of this up? Since this is obviously directed at men, and young men as well, those little bastards, is there any campaign to stop young ladies from calling each other those nasty little names? Rather than helping young ladies understand that they can achieve their potential according to their own efforts, you think that helping them is by stopping other people from saying a word. For many of us on our road through life, well, we’ve been called about everything. We learned to deal with it. Teach them that. You know, Stick and Stones, old school wisdom. I’m down with the overall intent, good for them. It’s just the proposed solution that doesn’t make any sense. It’s dumb. Uninspired. Uninspirational. Telling people what words they can or can’t say? Sounds like a bully. Banning words? It’s just sounds bossy. This entry was posted in Social Issues and tagged #banbossy, dumb ideas, Sandberg.